“What makes you unique” is a question that many potential hires struggle with. Is it ok to brag a bit? Is it a trick question where you’re supposed to show modesty? Should the answer be strictly career-based? Because of this, we wanted to take a moment and get you prepared to share what makes you unique in a way that’ll give you a leg-up on the competition. See, this question gives you a great opportunity to impress the interviewer and lock down the job. You could argue it offers this opportunity more than any other question you’ll get. If your answer stinks, you probably won’t get the job. Now you can see why this is so much more than a “tricky question” to answer. Don’t worry though, once you understand what they’re looking and how to prepare you’ll be able to answer this question with ease. You’ll actually be hoping they ask it! Without further delay, let’s jump right into it. As we mentioned before, there’s a ton of confusion and misinformation floating around on what exactly the interviewer is looking for when they ask this question. To be fair, it really isn’t that straightforward. That’s still no excuse for messing up your answer (at least after you read this). Explaining what makes you unique in a concise way that demonstrates your potential value as an employee means understanding the true purpose of the question. This means you need to be looking at this with a strictly professional mindset. Hiring managers aren’t concerned with your funky hobbies outside of work. They don’t care if you were born with the ability to see more shades of purple than the average person. They want to know what unique skills, traits, and background you have that make you the perfect fit for the job. There will be plenty of time later to get to know each other outside of work. But at the time of the interview, this is how you should be approaching your answer to this question (unless they specify otherwise). Knowing this should already give you a bit more clarity on this traditionally tricky question. Now that we’ve covered the intent behind the question, let’s get to the good stuff. 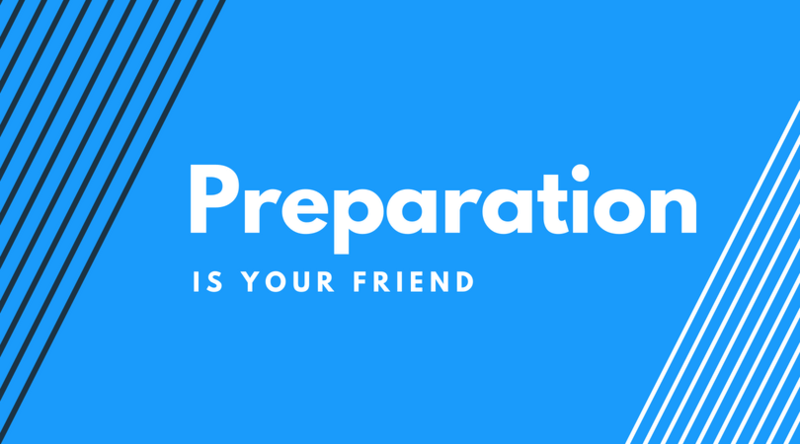 Preparation is without a doubt the most important piece of the job-searching puzzle, and answering this question is no different. Below we’ve outlined the steps you should take so you can knock this out of the park and get the job. Don’t shortcut or skip any of these. They are extremely important and will serve you well when nerves are running a bit higher than normal (interviewing is stressful). This is the first step to sharing what makes you unique when it comes to the job you’re applying for. If you don’t have a thorough understanding of the role, it’s going to be extremely challenging to convey why you’re the perfect candidate for the job. The first place to start is by making sure that you’re familiar with the job description and the skills that it will require. Most of the time you can find this on the actual job posting page, but if you have any other information available you should use that as well. This will give you a great indication of how you can match what makes you unique (when it comes to your skillset), with what the company is looking for. 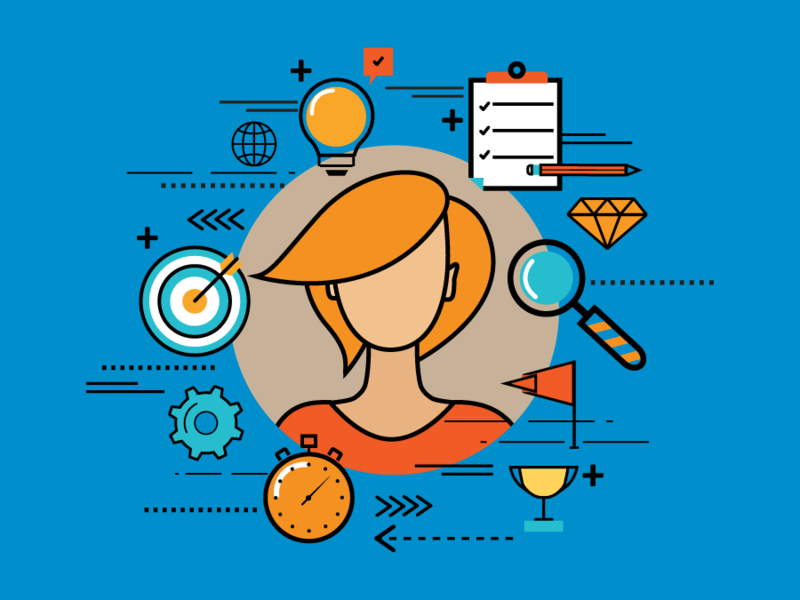 Go further and research existing roles or positions they’re hiring for that you’ll likely be working with. You can often find a lot of this information on the company website. This information will give you a great opportunity to tie in any other skills and experience you have with other roles. If you’re applying for a marketing position and will be interacting with the company web developers often, sharing your basic code knowledge will be an asset. Showing you’re not only a perfect fit when it comes to daily responsibilities but that you can also fit into the entire operation seamlessly is how you win the job. Outside of that, making sure you’re familiar with the company as a whole is obviously important as well. But you should already know that. Now that you know what the company is looking for, you should do a full inventory of your skills to find what matches. Some of these will seem obvious but others might not be. You would be surprised if you knew how often interviewers forget to mention a past skill or experience that could differentiate themselves from the rest of the candidates. That is what makes this step so important. If you go through and list out everything you can do or plan on learning you’ll be able to quickly match it with what your potential employer is looking for. These will be the core points you’ll touch on when explaining what makes you unique. Spending a moment on this ahead of time means you’ll be able to easily recall and convey this information without having to think about it too much. This means if you get nervous or if they sneak “Tell us what makes you unique” into a portion of the interview that you didn’t expect, you’ll easily be able to hit all of the main points of value you offer. Remember, it’s not just what you say but how you say it. A great answer that’s delivered poorly can be a missed opportunity, and a poor answer delivered with confidence can make you look like a doofus. Spend a little extra time to make sure you can answer this with confidence and clarity! Now that you have a list of the core skills you possess that make you a perfect fit for the job, it’s time to add another layer on top of it. Examples of what makes you unique. This is what separates an average answer from a great one. Anyone can say they know their stuff, but having a track record to back it up is where the magic is. Just like you did in the previous step, take some time to list out examples of you using the elements of what makes you unique to help a company or client. Some will jump out at you right away, others you will have to think about for a bit. Think back to projects you might not have spearheaded but were still involved in. This could even be a small night and weekend project that another department needed your help with. Too often job-seekers struggle with this element of their answer because they think they only can mention “big wins” they had. Sometimes the small stuff can be more compelling. Once you have a full list of samples, prioritize which ones look like the best fit for the job you’re applying to. Time can sometimes run short, or the interviewer can steer the conversation in another direction. Make sure you take advantage of your window of opportunity by mentioning the best stuff. If you have time to hit some of the secondary examples that’s great. The main thing to remember is you don’t want to leave the room thinking “I wish I had a chance to mention X.” Leading with the important examples first will make sure this doesn’t happen. Like we said, when they ask “What makes you unique” they’re really looking for what makes you a perfect fit to help their company. And now that you have everything laid out it’s time to show them. This is where the knowledge of the company and position come into play. A lot of the time you can find what they want written word for word on the job description page. It might be growing sales 5% month over month. It could be drafting grants for various departments. Whatever it is, explain how everything that makes you unique can help them accomplish their expected goals (and more). This will put a nice bow on your answer that’ll leave the interviewer thinking “wow” and give your chances of getting hired a massive boost. This is a part of your answer that you might not get to, but you want to be prepared for. We recommend using this as a complementary way of differentiating yourself after you have explained the most important aspects of what makes you unique. It should be short and sweet. The most important aspect to remember is to make sure it relates back to the job. The fact that you prefer to cut your peanut butter sandwich into eight pieces before eating it is not what we’re looking for here. A good example of this could be talking about how you’re naturally curious and enjoy tackling projects where you need to learn as you go. This would apply quite nicely to almost any job. Sometimes people struggle with this because they think they’re rather unremarkable. That’s why it’s so tricky. We undervalue a lot of the interesting things about ourselves because they’re normal to us. If you really get stuck and can’t come up with anything, a good fallback is anything about work ethic. You will want to jazz it up a little bit (more on that in a moment), but it’s going to be hard for a interviewer to dislike that portion of your answer. Now that you have the foundation for how to answer “What makes you unique”, it’s time to hone it into the best possible version it can be. This doesn’t mean you have to go wild with a ton of ten dollar words, but you should try to steer clear of the common stuff. An example of this would be saying “I enjoy working together with a team.” This has been said in interviews approximately 9 billions times this year alone* and it’s just plain boring. Instead, go with a phrase like “Collaborating on projects with other people always gets me excited to come into work.” See how this has a bit more flair without going overboard? Look at what you have and try to find opportunities to spice things up a little bit. Trust us, it’s worth the effort. *We lost the link to the official study, but trust us this number is 100% accurate. All you have to do is make sure you give that answer properly when it counts. Once you’ve done that you’re home free (make sure to do these things after an interview too). Rehearse and run through your answer as many times as it takes to get comfortable with the idea of delivering it when pressure and stress are trying their hardest to distract you. Put it on a note card or on your phone and run through it periodically throughout the day until you don’t need the aid anymore. One trick that we like is setting an alarm for random times throughout the day. When it goes of try to run through your answer (out loud if possible) without a hitch. Being able to recall what makes you unique when it’s not on your mind is a fantastic way of practicing for the interview. You’ll be talking about other parts of the job when they throw it at you, there won’t be a five minute warm up period. The only pitfall to avoid is rehearsing word for word so much that it begins to sound robotic when you say it. You want to be able to hit the main points in a conversational manner, and tweak it as necessary. Sometimes a piece of your answer will naturally come up earlier in the interview. Being comfortable scrapping that on the fly will give you a lot of flexibility. Basically, rehearse heavily without overthinking it. Now that you have an understanding of what it takes to answer “What makes you unique” in the best possible way, we wanted to share a couple sample answers you can use for guidance. 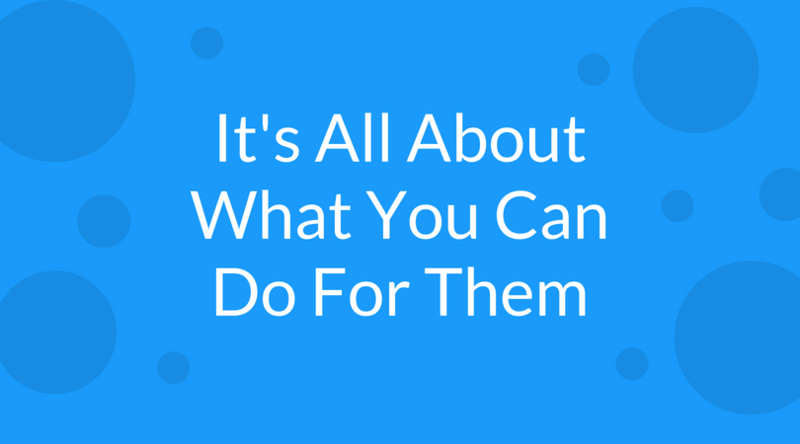 This will help you get a better understanding of how to deliver this in the room. Understanding what makes you unique will not only help you with your next interview, but it’s something you can use for the rest of your career. 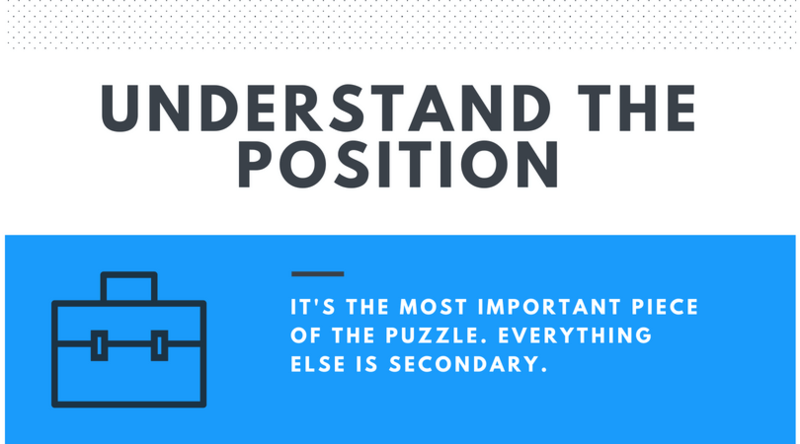 Once you’ve done the work to get the foundation of your answer in place, all it will take is some slight tweaking depending on the position you’re applying for. This means you will be extremely well-prepared going into the interview process later on down the line. Also, as you begin to understand the importance of building up your personal brand online, this will be at the core of that as well. Differentiating yourself no matter what your goals are is always going to yield positive results and earn you more opportunities as you go. If you decide to start your own business, knowing what makes you unique will help you get your company off the ground. Whether it’s for finding investors, new customers, or business partners, this will give you a head-start. Don’t do what a lot of people do after the interview and forget about this until the next time they’re looking for a job (and panicking all over again). Revisit it every once in a while and make sure it’s up to date with any new skills or experiences you have to offer. It won’t take long, and you will be thankful you did it when it’s time for you to use it in the future. Now that you know how to answer “Tell us what makes you unique?” it’s time to take things a step further. Not only are hiring managers scrutinizing your answers in an interview, they’re also looking you up online. If you have a great online presence, you’re set. If you don’t, you’re missing out. This means you should take a second to sign up for our free software that will help you take control of your online presence and personal brand. Doing this will help your career in a major way.